Age categories: Because our series spans over 2 calendar years, your age on the day of each race will determine which category you are in. During your practice lap please do not come through the finish line, or impede anyone who is racing at the time. 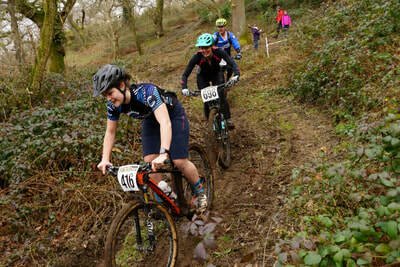 The racing will be held on a 5k (ish) lap with a fun mix of climbs, descents and great singletrack. Newnham Park is hilly, and we always reward your efforts with something fun on the way back down. We know lots of our riders enjoy technical riding too, so we will always aim to include some challenging sections. Take it easy first time down, and pick the speed up on your next runs. Round 3 will be using just one track - The Bear Pit. We'll give you a bit more practice time, and an hour and a half to do as many runs as you want. Anyone can take part in the event. You do not need to be a member of anything or hold a race licence of any sort. 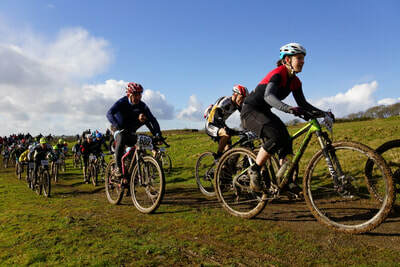 This is a mountain bike event though, so you do need to have had some experience riding off road. 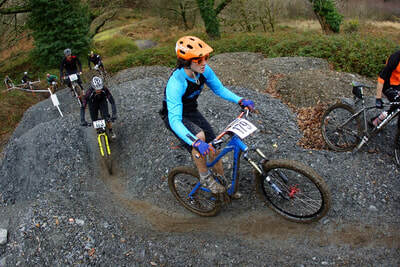 Helmets are required for both the cross country and downhill events. ​The Soggy Bottom Series has something for everyone, so if you're a beginner, don't be put off by photos of lycra clad racing snakes - there are plenty of weekend warriors having a great time out there too. There's a category for everyone from first timers, to seasoned racers. 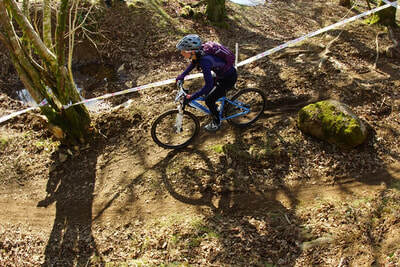 Newnham Park is an amazing venue for mountain biking, with basic facilities for before and afterwards. There are flushing loos and running water, a hardstanding car park, and an indoor area for registration. There will be prizes for the top 3 male and female riders in all categories from Juvenile age and above. Rosettes or medals will be given to the top 3 girls and boys in U8, U10 and U12s. We will collate series standings and a family league table for the series, athough there will be no series prizes. We will collate series standings, although there will be no series prizes. We will have a paper copy of results on display before some of you have even finished racing, and they will be available online for you to analyse at some point during the evening after each race. Newnham is a private working estate and is regularly booked by other users for activities such as horse riding, 4x4 rallys and clay pigeon shooting. Any attempt to gain access to the trails before or after event day, without permission from the landowner, will lead to automatic disqualification.